Installing Plus One is pretty straightforward – you go to this link, enter in your information, and they’ll send you the download link. 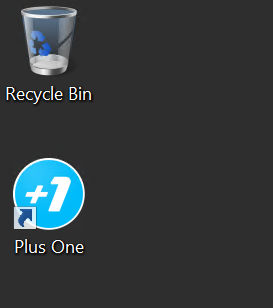 Download and install the app on the Windows Server you’re running Datazen on, and the Plus One icon will appear on the desktop. This next part is tricky – BEFORE you try to open the app, you have to install two Access ACE ODBC drivers. If you try to do it before that, you’ll get an error message. The problem is, Datazen requires the 64-bit ODBC driver, while Plus One requires the 32-bit driver. So how do we work around this? 1. 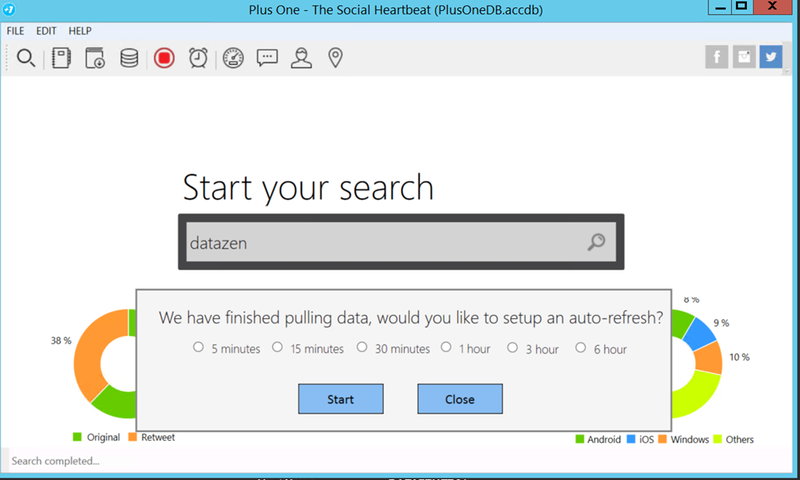 Follow the instructions in this blog post to install the driver and setup the data source that Datazen needs. However, use this data provider schema file as opposed to the one in the post because you need to leverage Access as your data source, not Excel. 2. Once that’s done, install the 32-bit Access Driver from here. It’s from the 2007 version of Office, so there’s only one item to download and install. 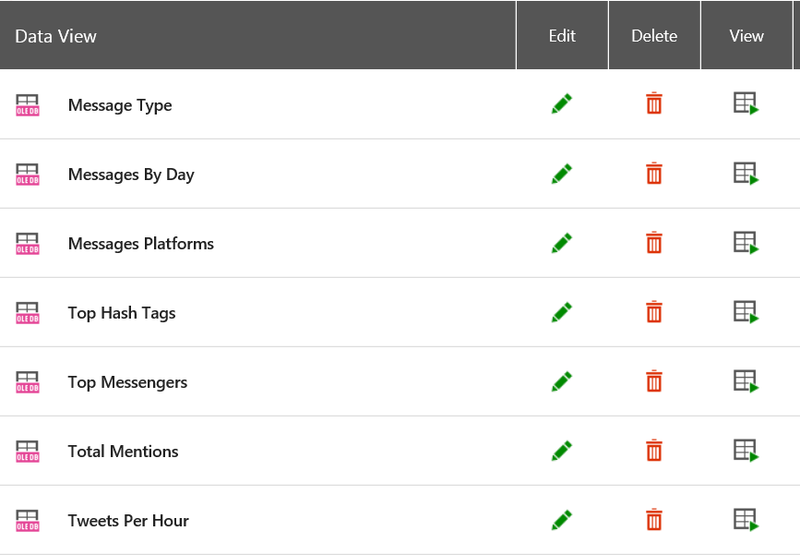 That should allow you to open Plus One Social to get started. Open the app now, and you’ll see the search bar where you can enter your search terms. I’m going to do a search for Twitter data related to Datazen (surprise, surprise), so I type in datazen. 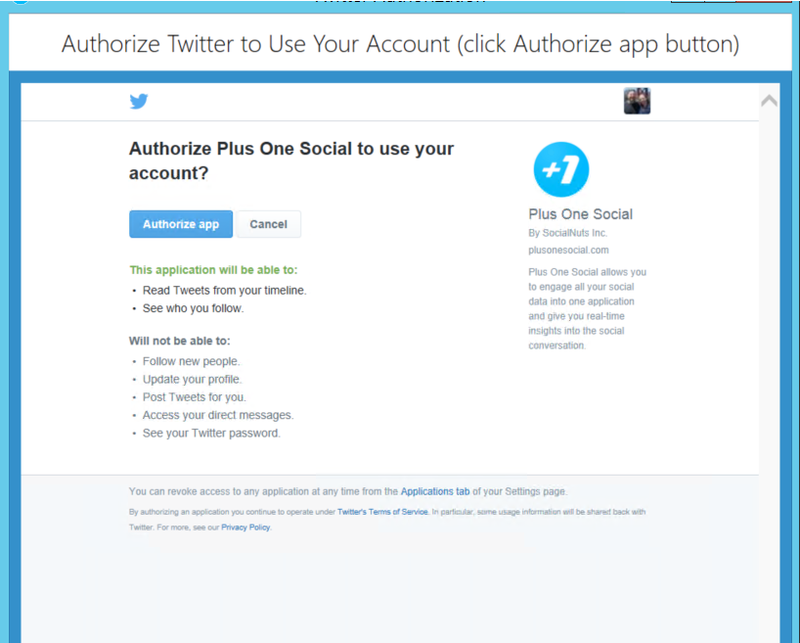 I authorize the app, and it grabs the results from Twitter. It’ll then go and grab the last seven days of tweets (Plus One is limited to one week of data, so you’ll need to save it on a rolling basis to keep older data), and I can even setup an auto-refresh to get the latest data. 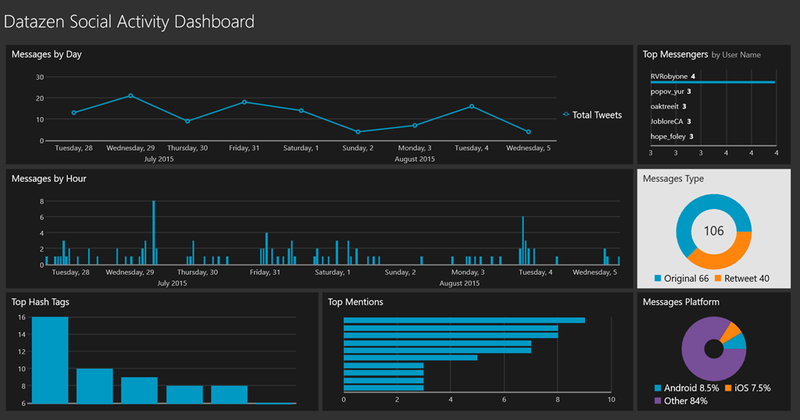 If you were to open the file in MS Access, you’d see five tables with data – Hashtags, Mentions, Messages, Queries, and Users. 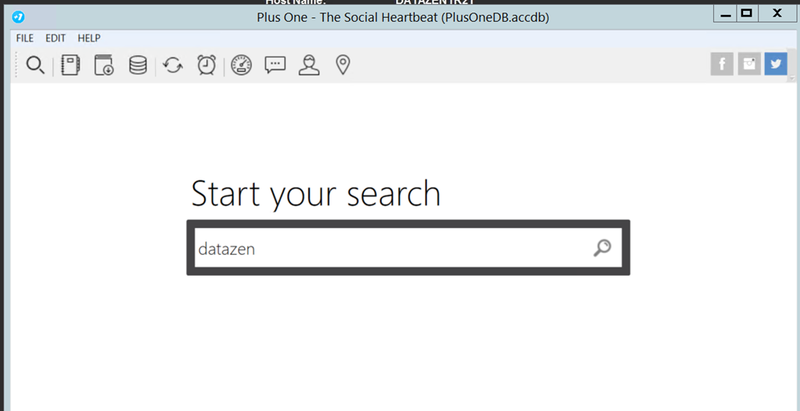 You can now write SQL queries against those tables in the Datazen server to pull back the data you need for your dashboard(s). Let’s do one together. and set them up to refresh every hour, making sure I set it to run 10 minutes after I know my refresh on Plus One will finish.